WASHINGTON — In Ukraine, pro-Western parties seized control of the country’s parliamentary body after elections this past weekend. 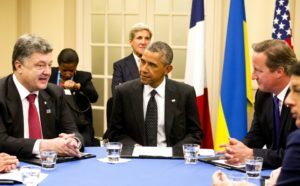 Reuters reported  U.S. President Barack Obama praised it as “an important milestone in Ukraine’s democratic development,” although he did nothing to aid Ukraine’s army against pro-Russia and Russian-supplied rebels in eastern Ukraine. The European Union echoed similar sentiments, calling it a “victory” for Ukrainians. But Russia remained silent, as the eastern regions held by pro-Russia rebels will have their vote on November 2nd. But, the country is divided and a ceasefire is still tenuous, even with rebels breaking it from time to time and killing Ukrainian government soldiers.